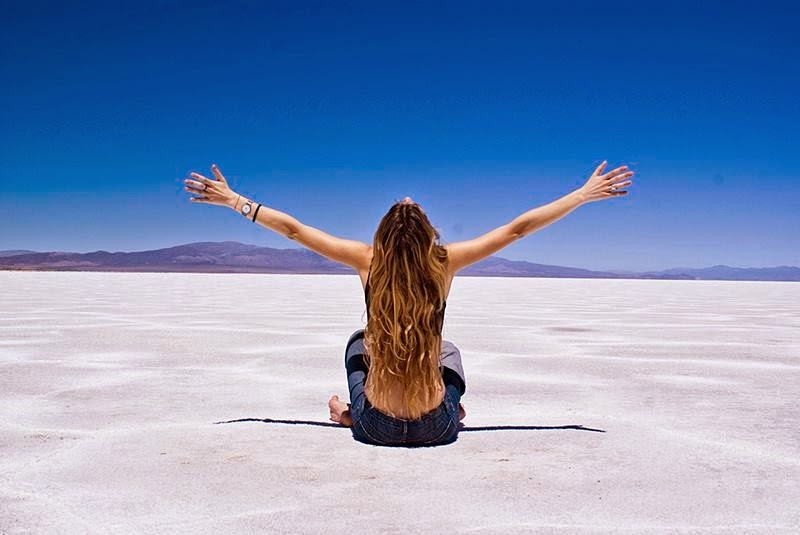 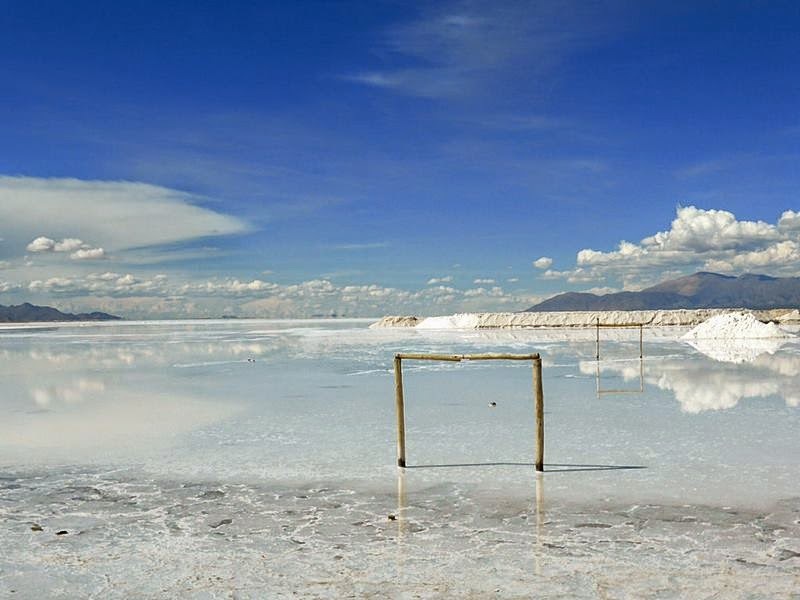 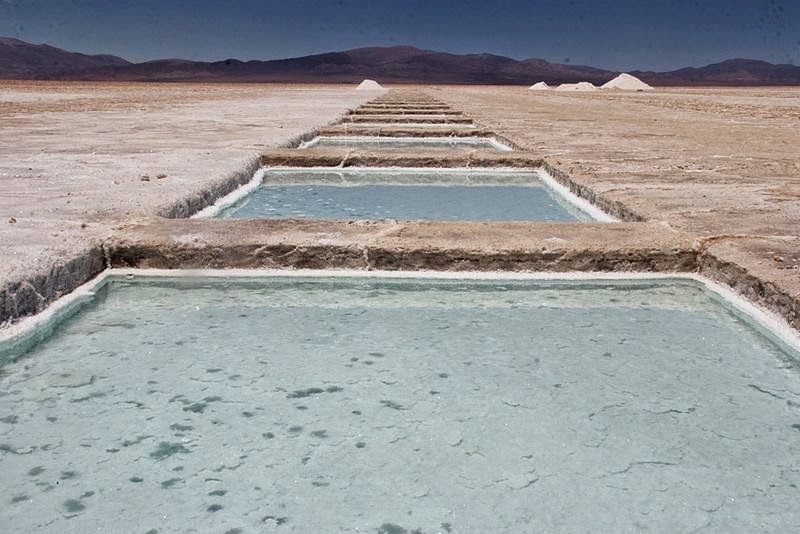 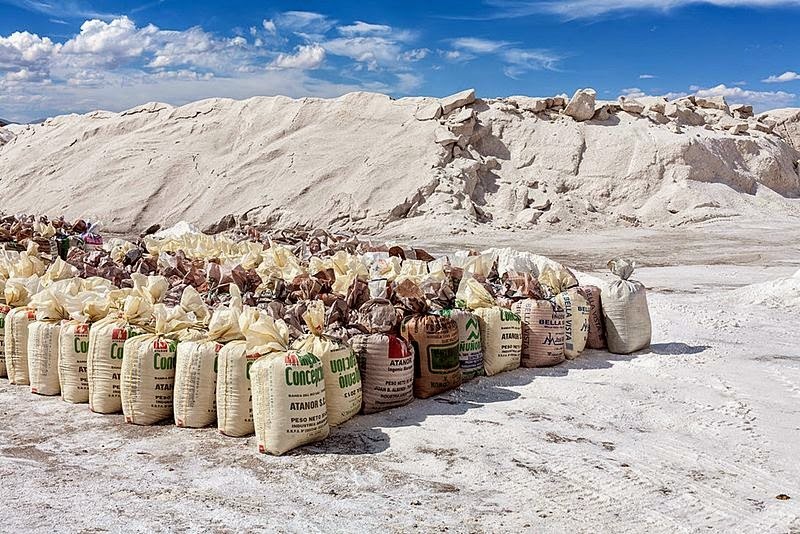 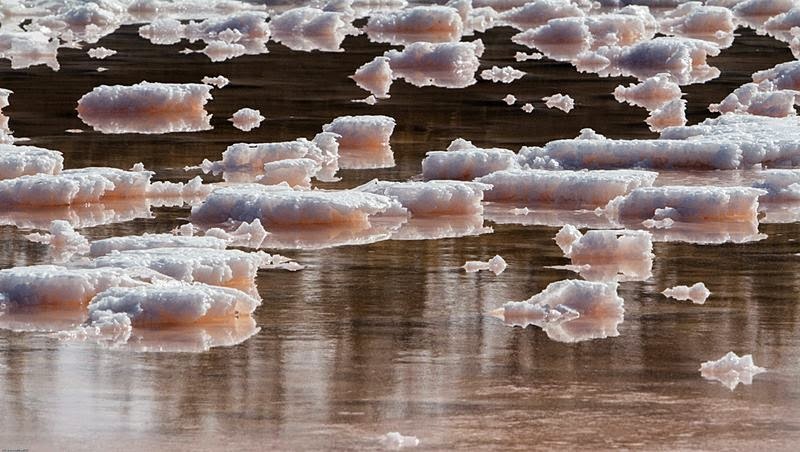 Salinas Grandes - one of the world's largest salt flats, located in central-northern Argentina. 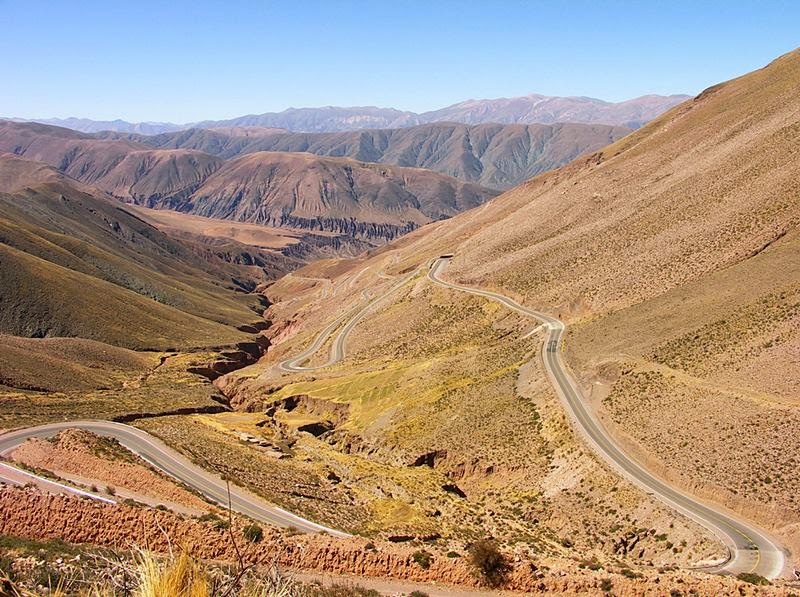 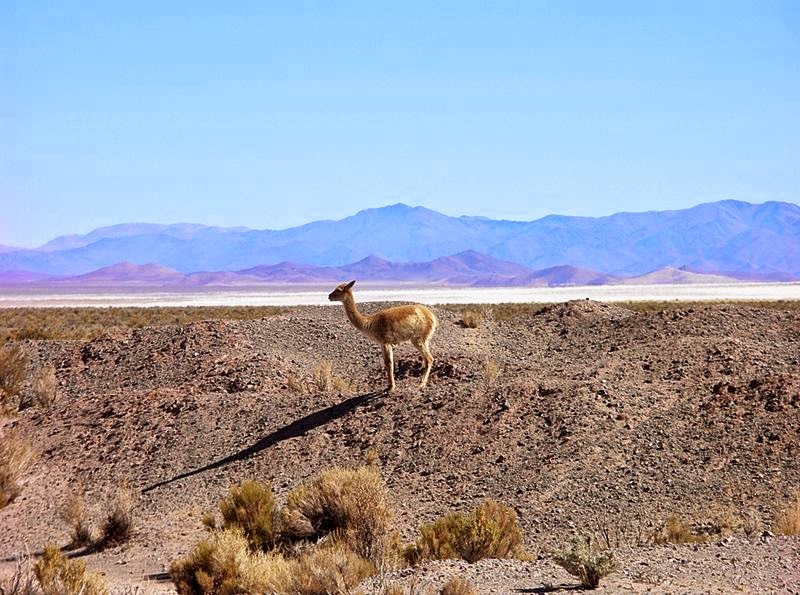 It is spanning the borders of four provinces, that is Córdoba, Catamarca, La Rioja and Santiago del Estero, at an average altitude of 170 metres above sea level, at the foot of the Sierras de Córdoba mountain range. 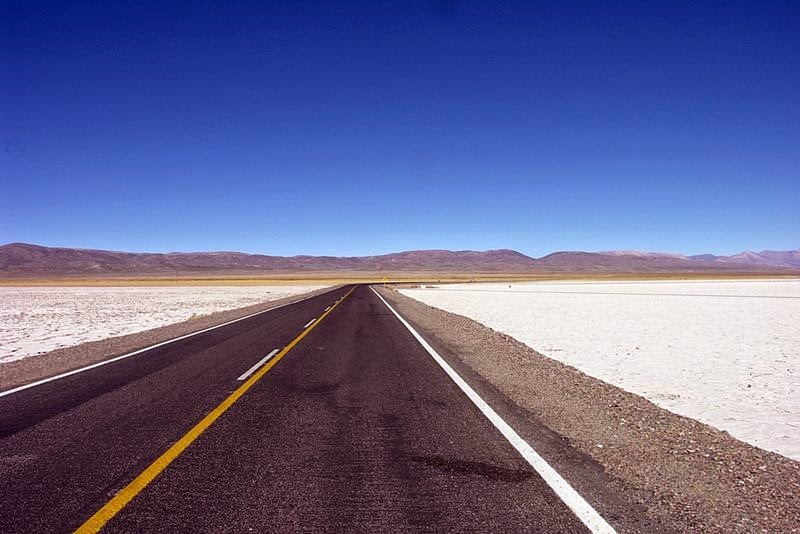 It covers an area of 6,000 km². 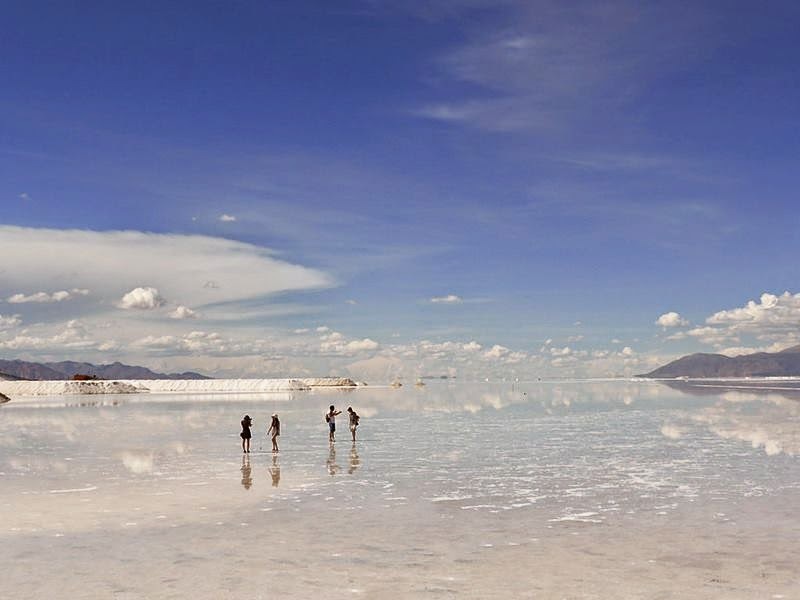 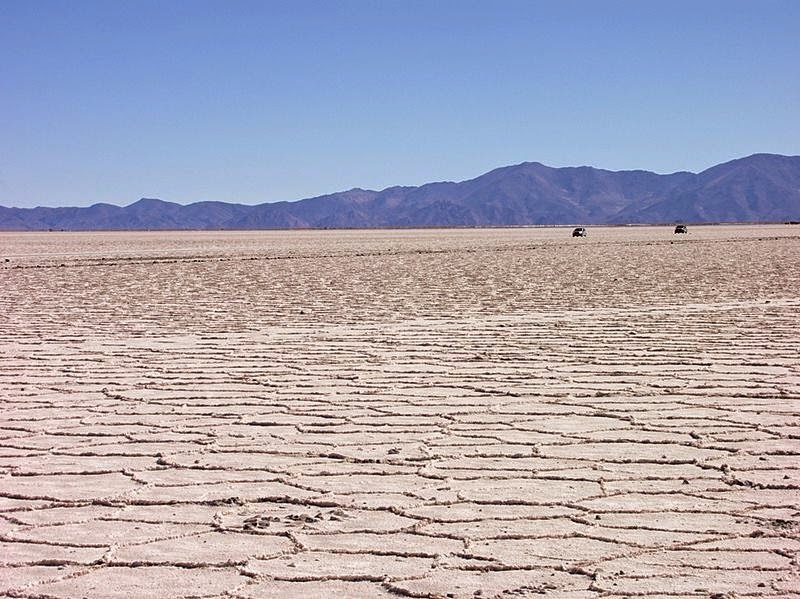 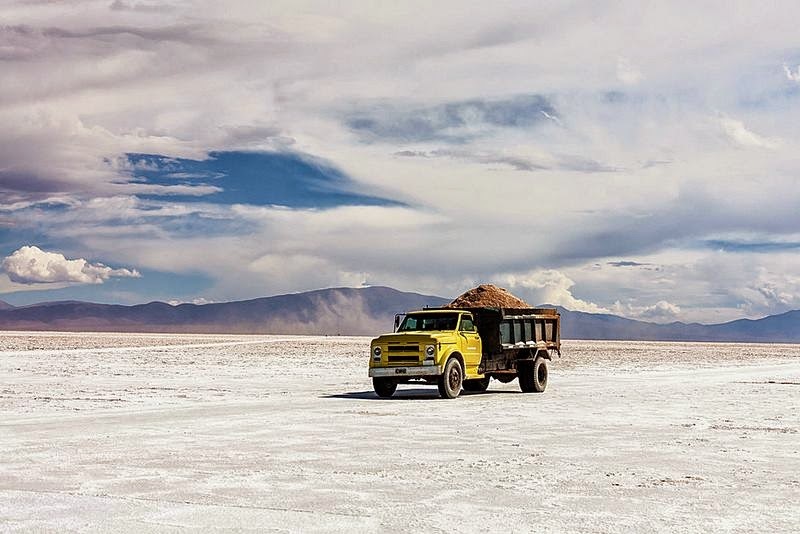 It is very similar to Lake Salar de Uyuni in Bolivia.